« Do it Better with Lean Six Sigma: How to Improve Business Processes. Get a White Belt to Boot! How do you find the right words to use so you will be truly heard in a crowded business culture? After all, our workplaces are noisy operations with lots of competition for limited time, attention, and energy! In this talk, Kay Coughlin teaches a simple technique anyone can use, any time you need to deliver a message that must stick. This is the ONE technique you need to know to deliver the right message to the right person at the right time, whether you want to greet your new boss in passing in the elevator or pitch your project to colleagues inside your company. As a bonus, you will also learn how to make sure everyone is clear on the next steps to take after they hear what you have to say. 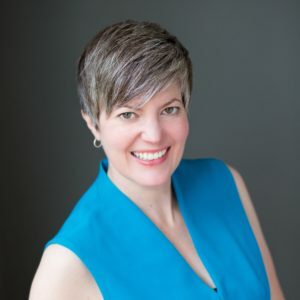 Kay Coughlin, CEO and Chief Facilitator of Facilitator On Fire, is on a mission to help teams become higher-performing and happier by getting past frustrating team patterns and behaviors! Kay leads incredibly productive listening and planning retreats, and she trains people how to use the “Facilitator on Fire Mindset”(TM) to build an amazing team culture. The skills she teaches in her public speaking – how to be heard and how to lead by listening – are parts of the formula she created to help teams become abundantly successful, together. To get in touch with Kay and subscribe to the TEAMS THAT WORK BETTER resource, visit FacilitatorOnFire.net.